I know many people enjoy it but I never could understand why people have mint jelly with lamb. To me, it seemed like serving ketchup with fillet mignon – you really shouldn’t need a condiment. 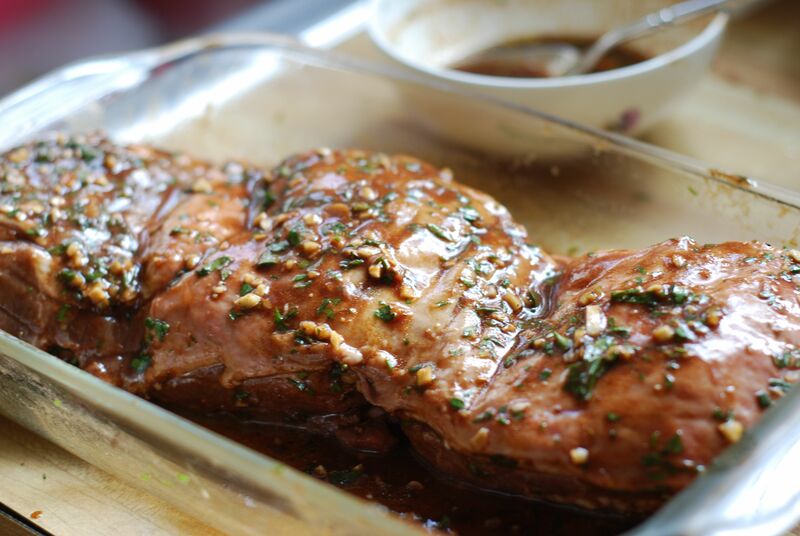 The earthy flavor of lamb should be enhanced with fresh herbs and seasoning. This recipe adds a subtle fruity flavor to the traditional garlic and rosemary herbs used to season lamb. Flattening a boneless lamb leg also speeds up the cooking time. Season the meat overnight and it can be grilled under 30 minutes. For information about the difference between American and Australian/New Zealand lamb see my blog for Lamb Shanks with White Beans and Gremolata. NOTES: This recipe is prepared on a Weber gas grill with three horizontal burners and a temperature gauge on the cover. You may need to adjust the cooking method if you are using a different burner configuration or if you are using a coal or wood fueled grill. I did not use an internal meat thermometer, simply because I don’t have one, so I could not note the meat temperature in this recipe. 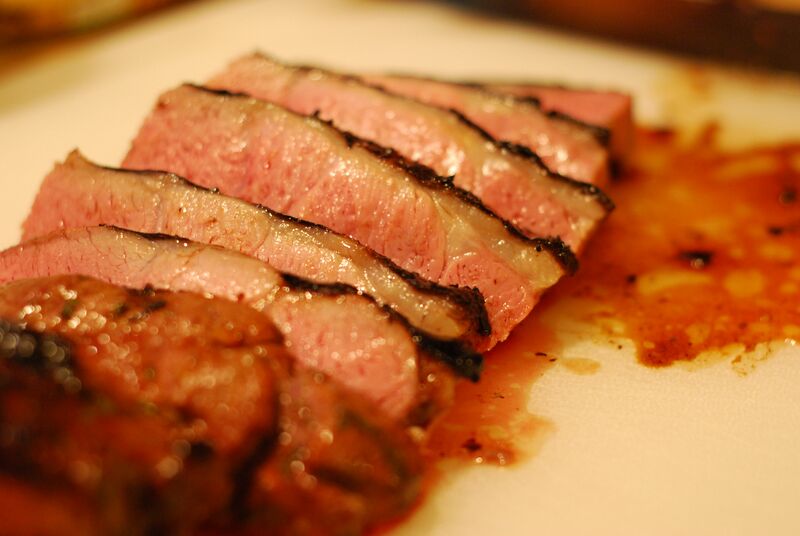 The lamb in this recipe is prepared “medium” – evenly pink throughout the meat. PREPARE LAMB: In most cases, when purchasing boneless lamb leg, it will be tied with string or held together by netting. If this is the case, remove all string or netting and open lamb so it is a thick flat fillet of meat. If necessary, slice into meat so it will lay fairly flat. 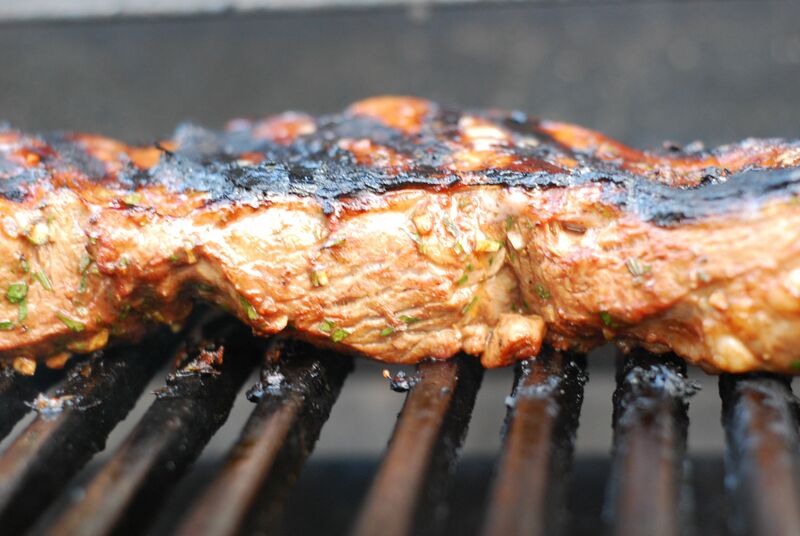 The meat should be about 3-inches thick (if it is thinner, adjust grilling times). Try to keep the thickness even so it will cook consistently. If there is a layer of fat on the outer side of the meat, leave a thin layer, about 1/8-inch. Too much fat may cause the grill to flare and char the meat but too little will make the meat a little dry. Place the meat in a rectangular pan that will allow the meat to lay flat or place meat in a Ziplock bag. Set aside in refrigerator while mixing marinade. 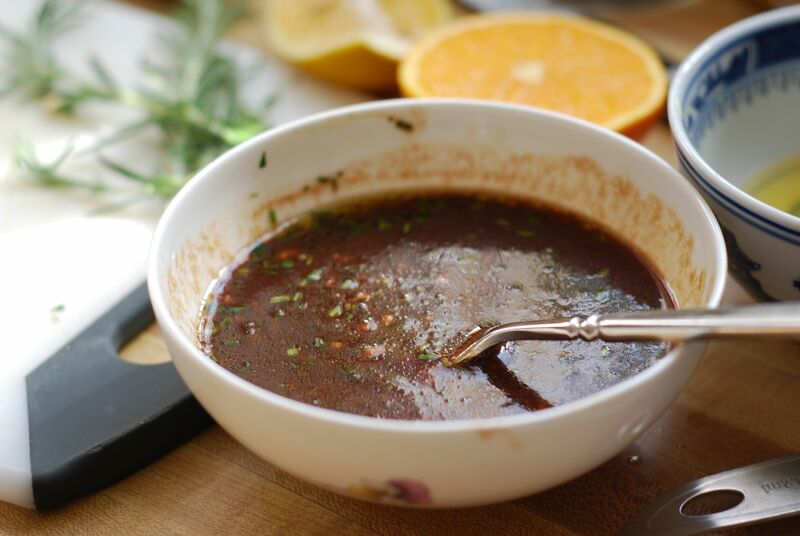 MARINADE: In a bowl, combine all the ingredients except the lamb. Mix well and pour onto meat, being sure to cover all surfaces. Let meat marinate for at least one hour to overnight. NOTE: The piece of lamb photographed in this blog is 2 lbs (half a lamb leg) but this recipe is written based on preparing a full leg, approximately 4 lbs. GRILL: Turn the grill onto high heat, covered, until the grill temperature reaches 400°. Brush a thin layer of vegetable oil onto grill to prevent meat from sticking. Place the lamb onto grill, fat side (outer side of the meat) down first. Turn the center burner to the lowest heat setting and turn the side burners to medium. Maintain a grill temperature of 375°. Cook with the grill covered for 7 minutes. Check half way through cooking to make sure fat is not causing meat to char too much. If it is, lower heat or cook with lid open for a short time. Turn meat over and continue to cook with the cover closed for 14 minutes. Continue to maintain a grill temperature of 375°. Remove the meat to a platter and cover with aluminum foil for 10 minutes. Cut the meat into ¼-inch slices. Serve while still hot. SERVING RECOMMENDATIONS: Try my recipe for Smashed Potatoes or if you want something very simple, try boiling small potatoes for 15-20 minutes, drain, coat them with olive oil, salt and pepper. Serve the potatoes as is or prepare them in advance and put them on the grill next to the lamb to warm them up. You are currently reading Grilled Lamb Leg (boneless) at Hestina's Kardia.